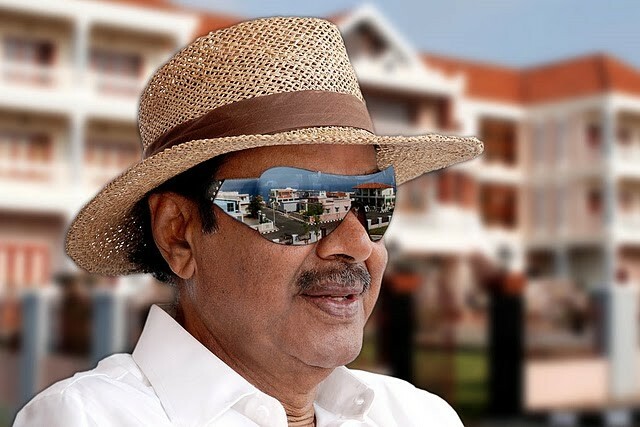 D Rama Naidu (Daggubati Ramanaidu), who was one of the well-known filmmakers, died of cancer in Hyderabad on 18 February. In January 2014, reports emerged that Daggubati Ramanaidu was suffering from prostate cancer and he was undergoing treatment for it at a private hospital in Hyderabad. Sadly, the filmmaker succumbed to it. He was 78 and is survived by sons Suresh Babu, Venkatesh and grandson Rana. Born in Karamchedu in Andhra Pradesh on 6 June 1936, Rama Naidu took up several odd jobs such as rice mill business and bus transport business in Karamchedu before getting into the film industry. His interests shifted to films when someone from his area started Shambu Films, a production agency. He got acquainted with late legendary actor Akkineni Nageshwara Rao as he started looking after on-set shoot arrangements. After getting acquainted with few other actors, Rama Naidu started Suresh Productions with his childhood friends G Rajendra Prasad and Subba Rao and produced "Raamudu Bheemudu" in 1964. It was a tremendous hit at the box office. Then onwards, there was no look back for this filmmaker. Later, Rama Naidu produced and directed many movies in Telugu and he churned out several blockbuster films. He also produced and directed movies in Hindi, Tamil, Telugu, Kannada, Malayalam, Oriya, Punjabi and English. Probably, he is the only filmmaker in Indian cinema to work in so many languages. The filmmaker, who produced 150 films in 13 Indian languages, held the Guinness Record for the maximum number of films produced by an individual. In 2012, he was conferred with the Padma Bhushan in recognition for his contribution to Telugu cinema. In 2009, he received the Dada Saheb Phalke Award for Lifetime Achievement in the film industry for his outstanding contribution.